The Belgian Chinese Chamber of Commerce (BCECC) is pleased to invite you to an interesting and inspiring company visit to Jaga on February 21, 2019 in Diepenbeek. 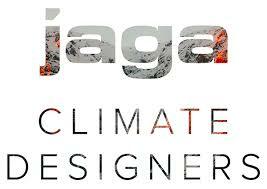 Jaga has been creating radiators that provide a pleasant and healthy indoor climate with the minimum impact possible on the outdoor climate since 1962 and, despite entering the Chinese market only two years ago, Jaga China has already collaborated with some big names in the hospitality industry. Jaga breaks through traditional thinking and has surprised the market for decades with completely new concepts, both on the technical and aesthetic fronts. Registration is free of charge for BCECC member and 35€ (VAT excl.) for non-members. Please fill in the online form here below before February 15, 2019.